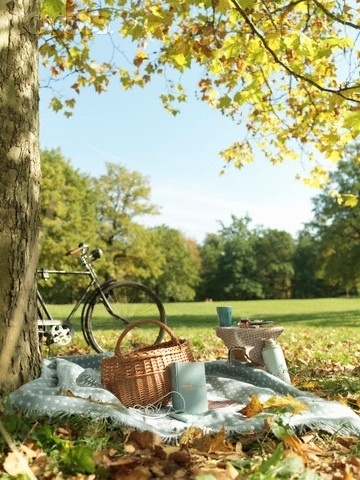 If you happen to live just around the corner from a park or inviting green hill perhaps going on a picnic is part of your everyday spring activity. If you have little ones or work at home it’s often nice to get away just for a quick hour during lunch and then once the weekend arrives perhaps you spend even more time at your favorite park. After all, it’s nice to be able to soak up some vitamin D and enjoy the nature, isn’t it? If you find yourself getting stuck in a pattern of taking the same food, going to the same picnic location and getting bored then you should add some imagination to your mix. Are you bringing along a book? Are you spending too much time on your smart phone? Think about ways you can bring creativity to the park each day and the change will do you good. It’s easy to get caught up with your phone every second of every day, especially if your job revolves around receiving calls from a boss or keeping up with social media, for example. However, your boss can be okay with you taking some time for yourself every once in a while and social media can wait. Part of creating job boundaries is adding some rest time for you. Ditch the phone and bring along a book, journal, and some journaling pens. Take some time for you and enjoy the great outdoors. The norm may be to bring a sandwich, fruit, and chips on a picnic in your picnic coolers, but if you are getting tired of this same meal think of something even tastier you can bring along. Depending on where you live you can pick up some sushi to go and if it takes a little while to reach your picnic destination keep it cold in your cooler. Take this one step further and pack some ice cream, a Diet Coke, and perhaps a salad. By changing your meals once in a while your picnic experience will be even more fun! you to enjoy a relaxing picnic every time. Sierra is a freelance writer who enjoys going on picnics, especially during the spring time! Stay up to date with Sierra on her Ocean Dreams blog.